• U S Census Research Workshop: Using the 1885 State/Territorial Population Schedules. Focus on how to find them in your State of research. A great tool for research between the 1880-1900 census. • Len Suckle, "Organizing Your Digital Data." • Janna Bennington Larson Presents "Census Records"
Changes from regular date, location shown in red. 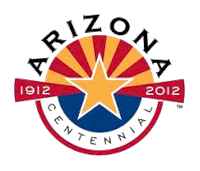 The Family History Society of Arizona (FHSA) was established to promote the study and worldwide research of member's family histories by instructing each member in the ethical principles and effective techniques of genealogical research, and to assist them in their preservation and dissemination of such research. You are invited to investigate our Website, and join our membership, after which an informative and interesting FHSA Newsletter will be yours each month. Sharing your genealogy discoveries with your fellow FHSA members, and enjoying their camaraderie and expertise may all contribute to pleasurable genealogy experiences and research. Receiving a reduced rate to our annual Seminar and access to all of the Chapter meetings will be another reward for you. Come and join us!. The Family History Society of Arizona has seven Chapters throughout Maricopa County. Each Chapter meets monthly, with guest speakers and varying genealogy topics each month. Our members research their ancestors from within the United States of America and from foreign countries. On this page you may explore the Next Chapter Meetings for topics and/or speakers you require for meeting your genealogical needs. We issue an open invitation to guests and members, to attend any Chapter meetings they choose. Browse this site to learn more about us and opportunities we offer researchers of all ability levels. Check back often for new information and programs. Double Butte Cemetery - This is one of the oldest cemeteries in the Phoenix area. It is located in Tempe, AZ. An entire burial list as well as burials listed by section are available here. Surname Index - Anyone can list their surnames who has an email address. See the Chapters list for topics, times and locations. Members and visitors are welcome to attend one or all seven. Site Index Find what you need quickly!